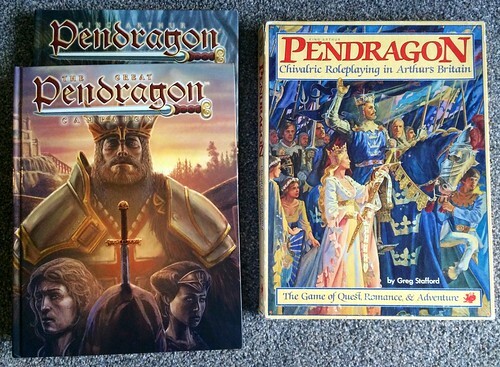 Pendragon 1st and 5th Editions, plus the Great Pendragon Campaign, the only supplement you need for years of fun. 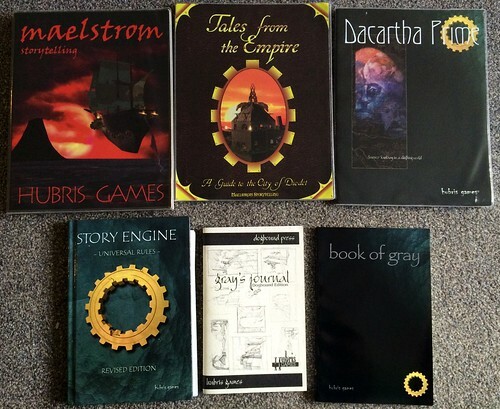 Maelstrom RPG line - a favourite I never get to play or run. Probably either Maelstrom (an early narrative game in a world of shattered dreams and realities, not the Elizabethan game) or Pendragon. I had a campaign of that at school and loved it and would like to retrun to the setting. I also loved playing Unknown Armies and Hot War for the short sessions I had of those. But, if I had to pick just one it would be Pendragon. The reality is, getting any game to play is a bonus. My current gaming mostly revolves around conventions like Furnace, Continuum, TravCon and Dragonmeet, plus some games via Google Hangouts (The EsoTerrorists and Dungeon World).